Can Bed Bugs Be Dangerous? Bed bugs. Those two little words alone can set your skin crawling. And if you’re unlucky enough to actually spot a bed bug in your home, you may feel like just torching the place and starting all over! While we can all agree that bed bugs give us the willies, are they actually dangerous? Well, they don’t spread infectious diseases, so you can breathe a sigh of relief about that. But they do, unfortunately, pose several health risks. A bed bug bite affects different people in different ways. Some don’t even notice bites, while others notice small, red bumps that become an itchy nuisance. Some people actually experience allergic reactions to bed bug bites, and in severe cases, some may even experience anaphylactic shock, which can be life threatening. No, bed bugs don’t spread infectious diseases, but a bite can lead you open to infections since you’ll probably spend time scratching at the itchy affected area. Excessive scratching can damage your skin, providing the possibility of introducing germs into open wounds. If you already have respiratory issues, like asthma, you may find that the problem becomes aggravated by bed bugs. This is because bed bugs shed their outer casings as they grow. They also leave feces behind, and all of these remnants can become airborne, aggravating any respiratory problems you may have. The presence of bed bugs can be emotionally disturbing, causing several secondary issues that can affect your health. Insomnia – Trying to fall asleep when you know you have bed bugs can feel impossible. 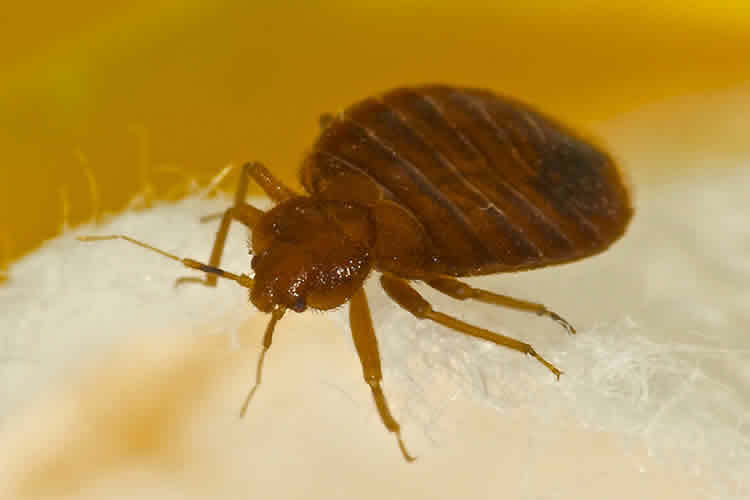 It’s easy to see that insomnia, as well as anxiety and depression (from lack of sleep), could befall someone experiencing a bed bug infestation. Stress – Getting rid of bed bugs is no easy feat. Dealing with the consequence of bed bugs is overwhelming. Bed bugs can cause a lot of stress, which can also lead to depression and anxiety. Latent illnesses – The constant blood feast can weaken a person’s immune system, causing issues with any latent illnesses. Social isolation – Nobody wants to bring bed bugs to their own home. Friends may drop out of your life temporarily if you have bed bugs in your home. And what’s worse? You can’t really blame them, but you can feel a whole lot of lonely. Bed bugs love to travel, so one of the best things you can do to prevent bed bugs from entering your home is to thoroughly inspect your sleeping area when you’re traveling. Look for tiny blood spots, casings, or actual bed bugs along the mattresses, night stands, and headboards. When you get home, leave your suitcase in the garage. Wash your clothes immediately, and dry on the highest setting to kill any bed bugs. Make sure you examine anything you bring into your home – stuffed animals, new clothes, furniture, and even appliances can carry bed bugs. Keep an eye on your own bed. Each time you change the bedding, check your mattress and along your headboard. If you find that you have beg bugs, try your best to get rid them as soon as possible, you might want to look into contacting a pest control service, for example, someone like Future Services or a service that closer to you. If you find bed bugs in your home, immediately wash all affected bedding and clothing in hot water. Dry your clothes on the hottest setting. Once washed and dried, put the affected materials in sealed plastic bags to kill any remaining bugs hanging on for dear life. Then, thoroughly vacuum every nook and cranny of the area where you found the bed bugs (and surrounding areas for good measure). Wipe down all surfaces with a disinfectant. Getting rid of bed bugs isn’t easy, and no matter how careful you are, you may miss some tenacious bugs. Your best line of defense is to use a pest control company with experience in bed bug extermination. If you’re dealing with bed bugs, give Barefoot Mosquito & Pest Control a call today or request a free quote online for bed bug control.